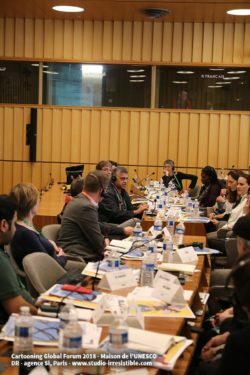 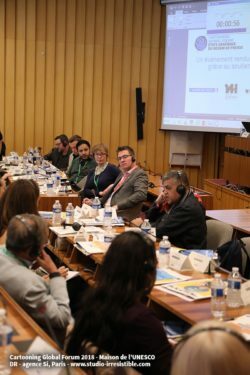 The inaugural États Généraux du Dessin de Presse / Cartooning Global Forum took place at UNESCO’s headquarters in Paris on October 3rd. 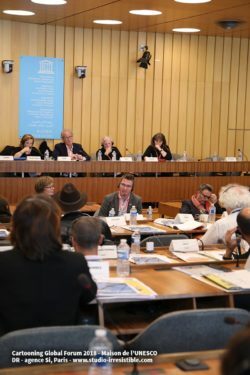 A new initiative to bring the world’s cartoonists and the organisations that support them together for a focused day of work each year, the first meeting took place under the gracious auspices of the Délégation Permanente de la France aupres de l’UNESCO and His Excellency M. Laurent Stefanini. 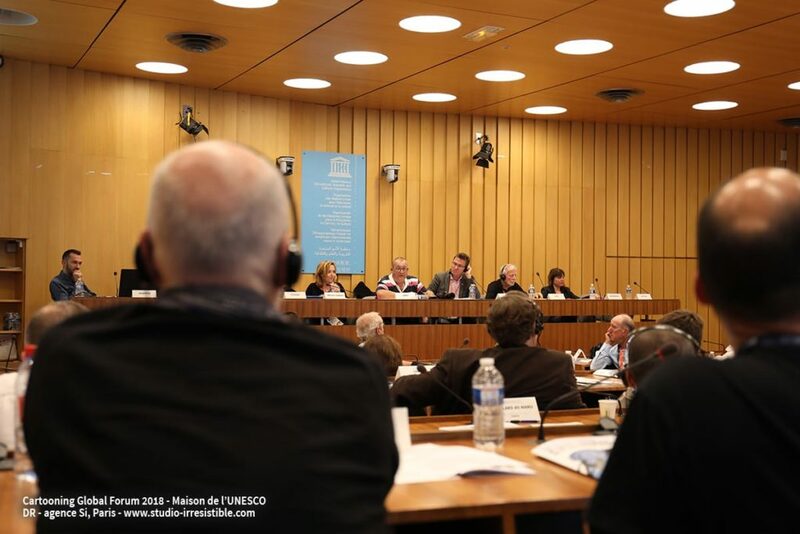 Invaluable support was provided by sponsors Fondation Varennes, la Ville de Montreuil, the Ocean Tree Group, Culture Papier and la Mairie de Paris. 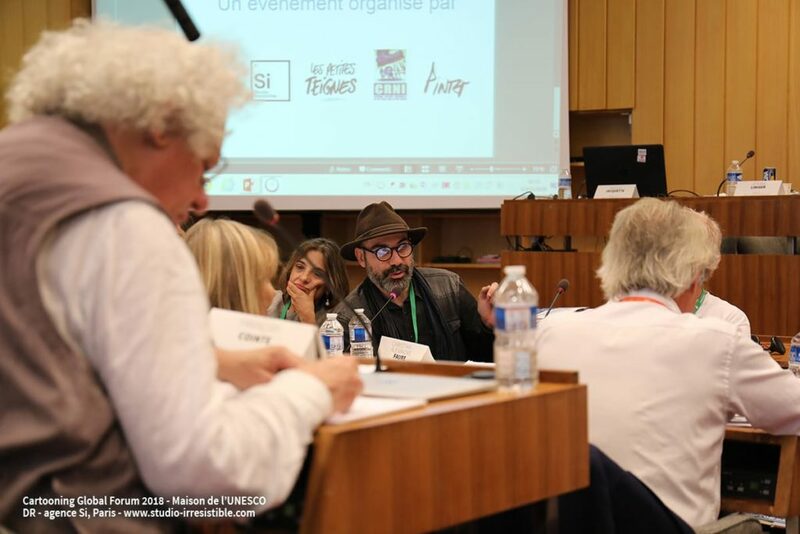 Among the participants were delegates from IFEX, of which we are a member, as well as our partner organisations the PCO and Africartoons and friends from CartonClub, United Sketches, Index on Censorship, CPJ and many others. 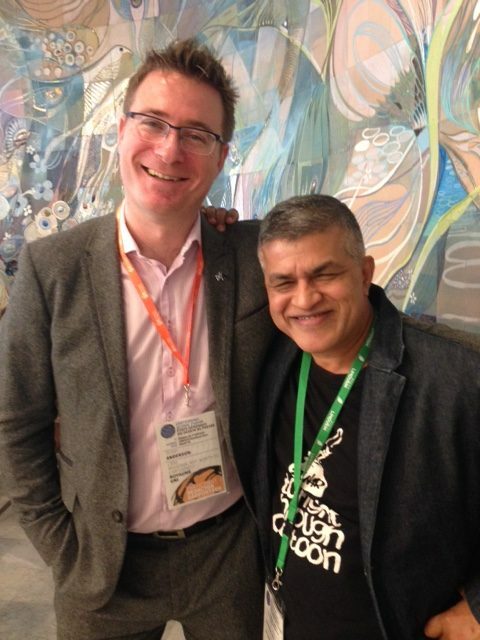 Free to travel intentionally once again, our past Courage in Cartooning Award winner Zunar was also present. 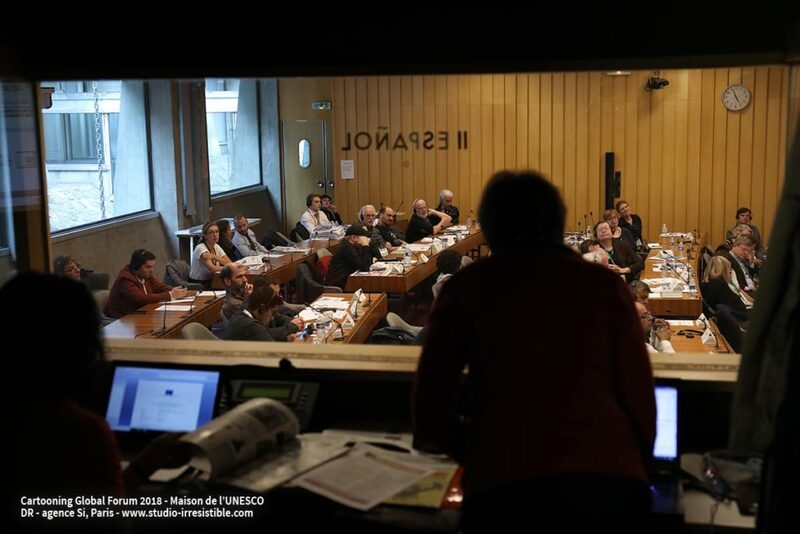 In total some two dozen nations had representation in the forum. 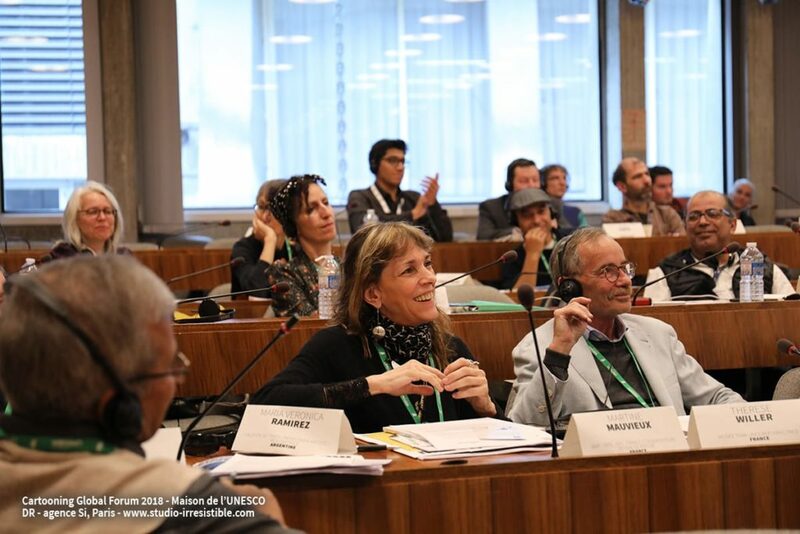 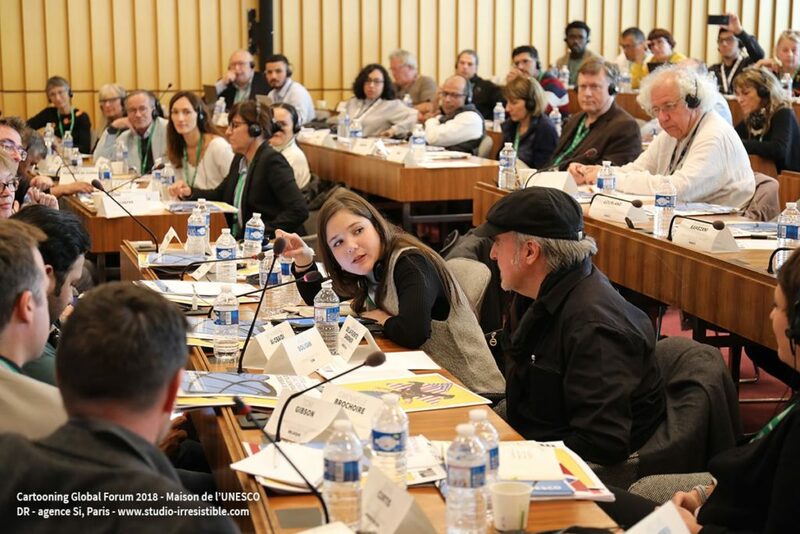 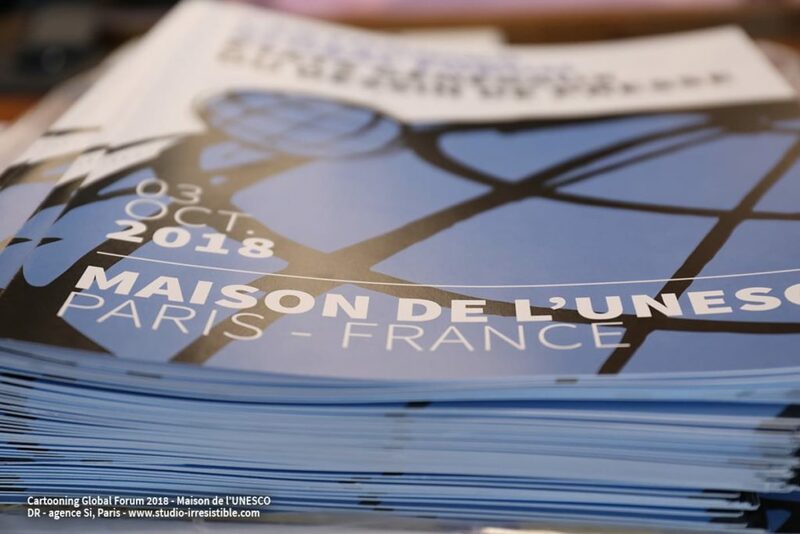 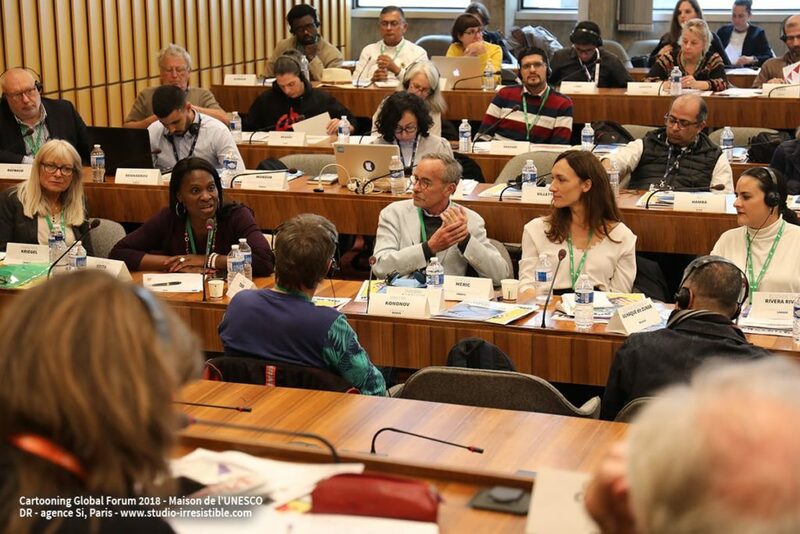 Recommendations from the first États Généraux du Dessin de Presse will be refined in the coming months and published ahead of World Press Freedom Day, May 3rd 2019 and the next meeting will take in Paris the following October. 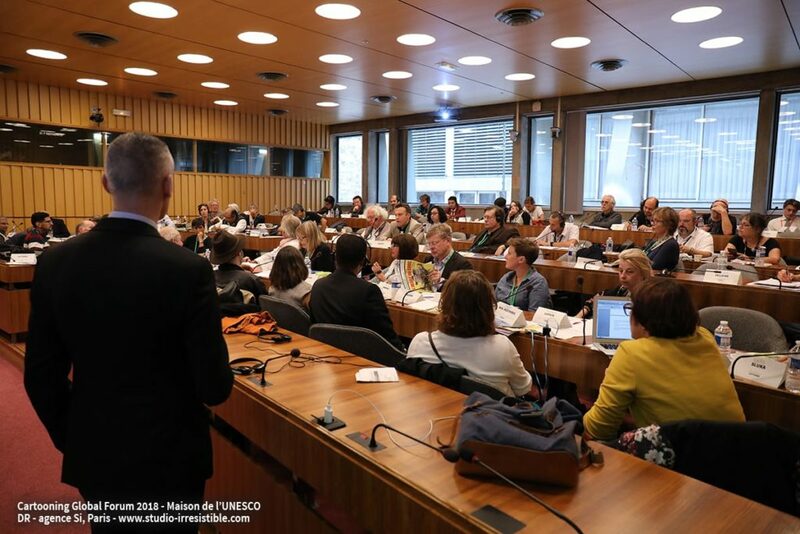 CRNI are very pleased to be part of this ongoing conversation and look forward to an even larger, broader forum next year. 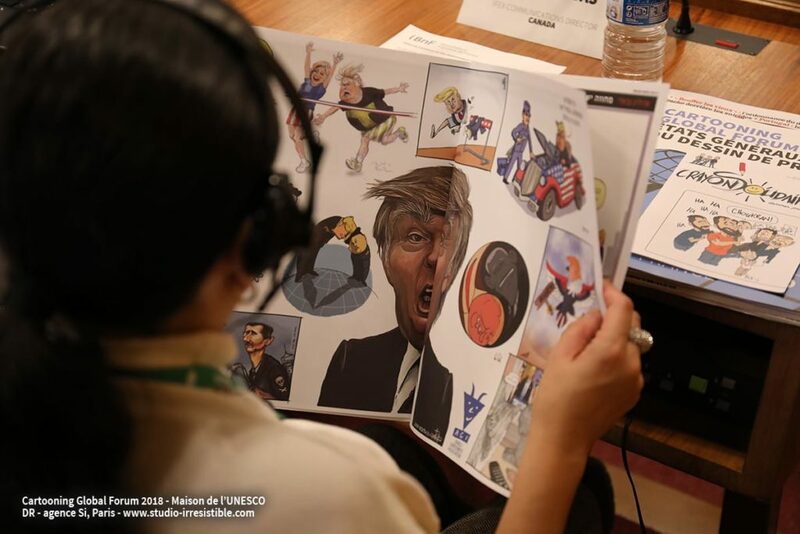 Thanks to The Surreal McCoy of PCO for this picture of Terry and Zunar.